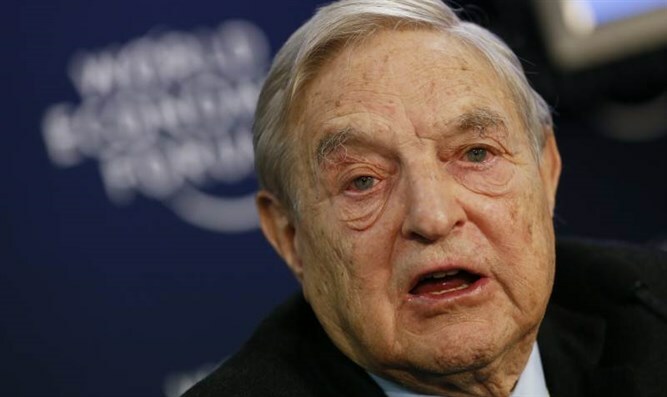 George Soros' Open Society Foundations closing operations in Hungary over government 'repression,' to relocate to Berlin. JTA - A foundation created by George Soros is closing its operations in Hungary due to government “repression,” it said. The Hungary-born Jewish-American billionaire’s left-leaning Open Society Foundations made the announcement Tuesday, adding that it was relocating to Berlin. Hungary under Prime Minister Viktor Orban has led several anti-Soros campaigns warning against the billionaire’s plan to let into the European Union hundreds of thousands of immigrants from the Middle East, the AFP news agency reported. “Faced with an increasingly repressive political and legal environment in Hungary,” the group said in a statement that they are moving their Budapest-based international operations and staff to the German capital, Berlin. The group also said that the move follows steps by Orban to “impose further restrictions” on non-governmental organizations. The 54-year-old premier, reelected for a third consecutive term last month, has long accused Soros of orchestrating immigration into Europe. Earlier this year, citing national security concerns, his government announced a so-called “Stop Soros” package of laws aimed at tightening rules for NGOs receiving funding from abroad. Some Jewish critics of the plan say the campaign has encouraged expressions of anti-Semitism, but other leaders of Hungarian Jewry dispute this. The proposals include a special tax on such NGOs, secret service surveillance of their staff, and a ban on any individuals deemed to be involved in illegal immigration from Hungary and its border zones. Hungary, Poland, the Czech Republic and Slovakia are among the countries engaged in a public row with European Union officials over the admission of immigrants into the bloc. More than two million have entered since 2014. Rights groups in Hungary and abroad have denounced the proposals that the government has billed as aimed to stop the plan, as a way of cracking down on groups critical of the government. “It has become impossible to protect the security of our operations and our staff in Hungary from arbitrary government interference,” said Patrick Gaspard, the president of Open Society Foundations, in Tuesday’s statement.